At Cowlitz River Dental, our team is proud to maintain a modern office that stays up-to-date with the latest developments in dentistry. 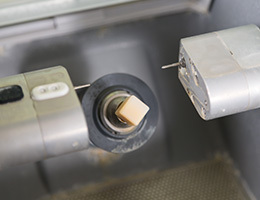 These tools and techniques help us make treatment more efficient, more precise, faster, and even more comfortable for our valued patients as they pursue their desired improvements. Dr. Kennington looks forward to discussing the benefits with you in person during your next appointment. Contact us today here in Castle Rock, WA to get started! 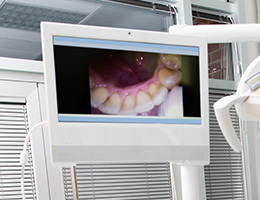 Intraoral cameras can give patients a much closer look at their oral health during regular appointments, helping them feel like a fully informed partner regarding their treatment plan instead of left in the dark. The camera-tipped wand our team uses will transfer high-resolution images to a monitor in the operatory, and Dr. Kennington can refer to it as a visual aid when pinpointing areas of damage and decay or explaining the effects of certain services. 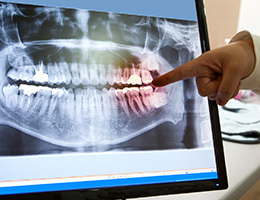 Digital X-rays are an essential diagnostic tool, revealing valuable information about a patient’s oral health that’s well hidden from the naked eye. Unlike traditional film, our Sordex technology doesn’t require darkroom development. Highly detailed images are available in seconds and stored in our computer system for future access. Because of its precise focus, digital radiography also greatly reduces exposure to potentially harmful radiation by up to 80%, keeping patients of all ages safer. Digital X-rays provide Dr. Kennington with a wealth of information about each person’s oral health needs, but their scope may be limited when planning out more involved procedures like root canals. That’s why our team also utilizes a state-of-the-art Carestream CT/Cone Beam scanner whenever needed to capture three-dimensional and panoramic images. By mapping out dental and facial structures down to the smallest detail, we can elevate the success of our treatment plans. Tens of thousands of new cases of oral cancer are discovered every year in the United States, many of which are already highly advanced. Simply put, your life could be on the line if you aren’t committing to regular screenings. Dr. Kennington uses VELscope to ensure that his findings during this diagnostic process are as thorough as possible. 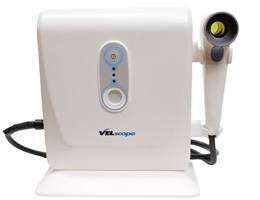 The system consists of a specialized blue light and scope. As it’s passed over the oral tissue, normal tissues will shine while abnormalities appear darker in color. If we discover anything of concern, a further biopsy can be arranged. Sometimes, our patients simply don’t have the time to undergo multiple appointments when they’re in need of a new dental restoration. 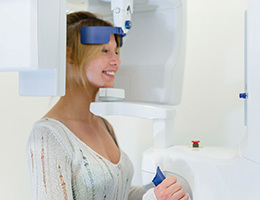 At Cowlitz River Dental, Dr. Kennington now uses state-of-the-art CEREC technology in order to greatly speed up this essential process without sacrificing the quality. Now, every stage of this treatment – including impressions, milling, and final placement – can be completed in just one appointment. Patients can walk in with a broken tooth and leave with a restored smile. Complete this simple form and we will be in touch! Copyright © 2018 Cowlitz River Dental | Sitemap | Site designed and maintained by TNT Dental.